An upright piano for very high demands, persuasive performance! Upright piano Bechstein B 116 Accent – a sophisticated piece og art designe for the new age by the engineers at C. Bechstein piano factory. This upright piano model Bechstein B 116 Accent is a complete success! Professionals immediately recognize the quality, ranging from valuable materials to complex processing. Musician’s ears fall in love with this sound. In addition, this cabinet design fits into the new age as a timeless, easy, skillful understatement. The Bechstein B 116 Accent upright piano was produced on the basis of Bechstein piano manufacturing technology with the knowledge of modern engineering technology conceived especially for this line. An ideal combination of precision engineering for individual instruments and handcrafted molding. In this way, amazing value for money is achieved. The Bechstein B 116 Accent upright piano is real luxury, a real Bechstein, which can continue to live up to the name of a great brand. The sensitivity of the sound board system is just one example of the unique techniques in which this upright piano incorporates key components of Bechstein’s grand piano-building methods. Find out more in our online guide. If you want to learn more about our German manufactory, in which C. Bechstein masterpieces are created, visit our authorized dealers or C. Bechstein centers. The trained sales people and qualified piano makers show you on a Bechstein B 116 Accent upright piano the quality in examples of a few details. 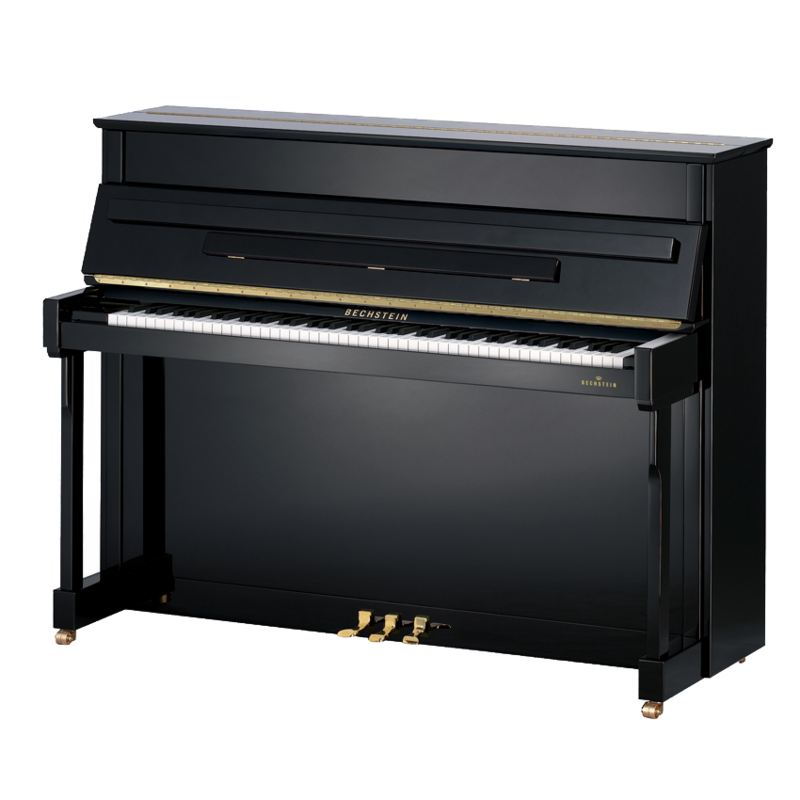 The Bechstein upright piano B 116 Accent is also offered with the Vario System, which allows you to play piano any time, day or night, without disturbing others. Characteristics Bechstein B 116 Accent upright piano – high-value piano.